3 steam options, variable, vertical and steam burst that can be adaptable to all ironing needs. Everlast Anticalc steam iron- Perfect solution to Hard water Rowenta Everlast Anticalc provides protection against calc and professional-quality ironing results. It features a removable anti-calc collector, A narrow tip for enhanced precision, Patented Microsteam400 Profile soleplate for perfect ironing results, 1750 Watts powerful steam, 11. oz. water tank, for reduced re-fills. 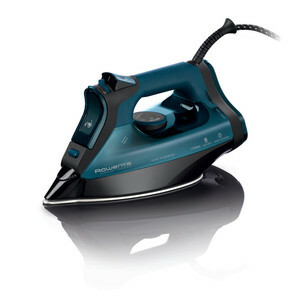 Rowenta Everlast Anti- Calc Iron DW7180. If you live in a hard water area, unless properly cared for, an iron can become clogged with limescale or calc. Sooner or later, depending on the hardness of the water used, it could stop functioning properly.